Dib Dab Doo & Dilly Too! The search engine is again based on Google Custom Search and it tries to keep the content as children friendly as possible. A web search site designed for kids by librarians – with kid-friendly results! Librarians, teachers and parents have told us how hard it is for students to understand web searching. Boolify helps students bridge that gap by visualizing the process and letting students interact with the abstract concept behind the search process in a tangible and hands-on way. Britannica – websites, magazines, books and the Encyclopedia Britannica. No Search Engine is entirely 100% safe. Custom search helps to keep out a lot of unsavory links, but it is definitely not foolproof. Most of the search engines for kids also display ads with some undesirable ones sneaking in. Parental control software in combination with these search engines can help to keep children shielded from the bad side of the web. It is a tough battle but at least with these sites, parents and teachers can worry a little less. As with any use of technology, the lesson will always include strategies for what to do when the “undesirables” sneak in. Just because it is there, does not mean you have the right to take it and use it! We’ve been talking about using other people’s work in our work. Our Enduring Understanding is based on the quote above. So how do you know if you can use someone else’s image? We must assume that all work that does not belong to us is copyrighted. That means it belongs to someone else and you don’t have the right to use it unless you are granted permission. The internet is a great thing though and there are some sites that search only for “works” that very generous people have granted us permission to use – otherwise known as “Creative Commons”. 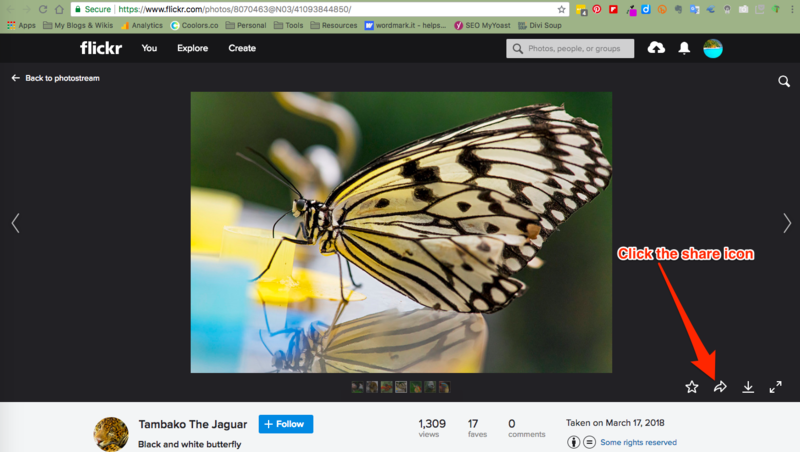 Compfight is a great search engine that, if told too, will only search flickr for “creative commons” images. 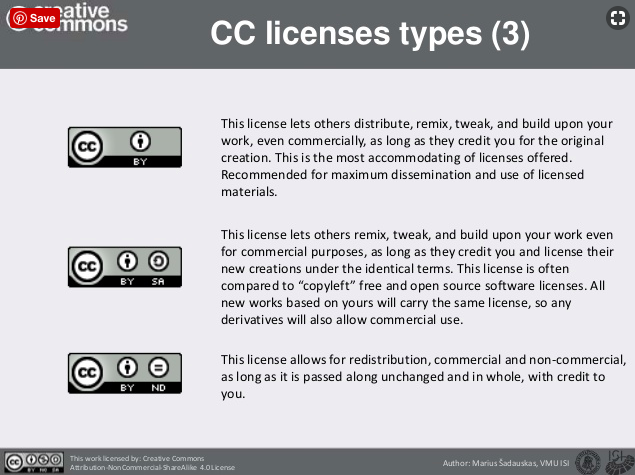 You can find out more about the 6 different creative commons licenses here. Here’s how compfight works and how you can then embed the image into your blog post without downloading and reuploading the image to your blog. Compfight will search for images tagged with the words you have entered in the search box. Sometimes you might come across an image that isn’t appropriate, even though you have the safe search on – you know what to do – click away, and tell an adult what happened. Another tab will pop open – it will be the flickr page that stores the image you have chosen. You want the html code of the image so that you can embed it in your post. (Using the html code eliminates the need for the image file to be uploaded to your blog). Make sure you chose the size you want (Most blog themes have a post size of 500pixels – so the medium sized image is usually big enough to fit inside your post – you can always make your image smaller once it’s inside your post BUT you cannot make it bigger, so don’t choose a too small size). Once you’ve pasted the html code inside your post, click on the Visual tab to see the image. 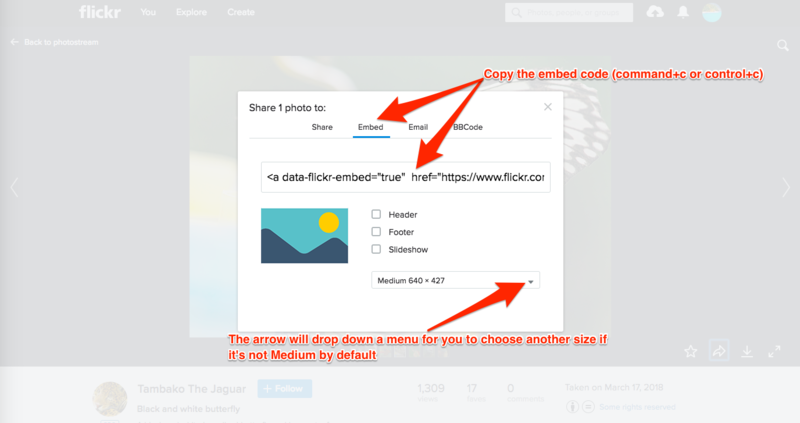 If you want to embed another image, remember to change back to the html tab. All that is left to do now is to attribute the image. Either way, the person’s name is included and there is a link back to where you found the actual image. 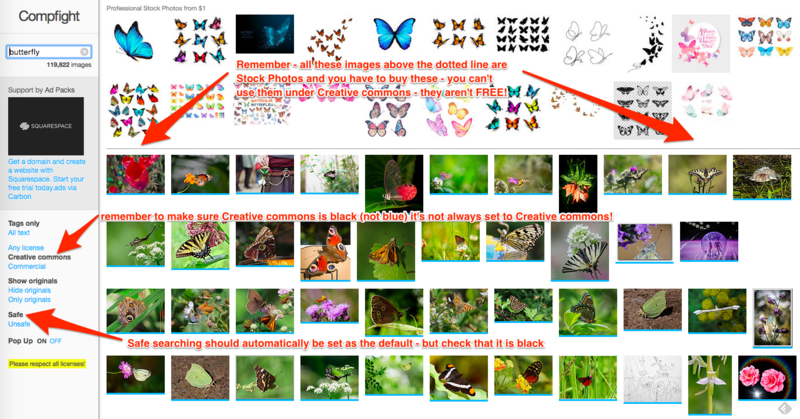 Make sure that you don’t have .jpg at the end of the link – that’s not the right link! Did you notice that you have to do a lot of switching back and forth from one website to another? That’s why it’s so good to use the tabs in Firefox. Have the backend of your blog open on one tab, and compfight open on another tab. I know it’s very disappointing that our school is closed again and that some of you will be missing out on taking part in the Songkran Ceremony. I was looking forward to watching you perform it too. We must keep everyone safe though – so I hope those of you that live downtown are keeping safe and well. Some of you have been keeping up-to-date with the class blog. Those of you who haven’t, there’s still a chance to earn “Hellyer Bucks”. Read this post on how. Don’t forget to leave a comment in this post or yesterday’s post. Use LogoPaths Free Explore to build different types of hexagons. Record the steps in a blog post on YOUR own blog – not in the comments below please. Draw polygons without using degrees that end in 0 or 5. Don’t forget to record the steps and write a blog post on your own blog about how you did this – What did you have to think about? How did you work it out? Use Polygon Pairs (not Free Explore) Draw 3 pairs of polygons. Are the polygons in each pair similar or not similar? Explain how you know. Be sure to include the tools you used (Label Turns, Label Lengths, Overlay commands) to help you decide. Take a screen shot (apple, shift 4 – on a mac / how to take screenshot on a PC) upload the screenshot to our flickr account and then use it in a blog post on your own blog please. Don’t forget to include the answers to the questions about whether they are similar or not similar. # Your Realistic Fiction story does need to be finished completely. You”ll have a whole week to publish your story on your blog. Please remember that this is a published copy – you need to double check your spelling and your grammar. If your story is at school – then you will need to finish it for homework during the first week back at school. If you have your flash drive with you, you can work on your story, and get it up on your blog – it can remain in draft form if you are not happy with your story and want to work on it some more. # If you’re looking for other things to do ….. check out our learning links on the classwiki – there’s a tonne of math, spelling, grammar and reading links for you to enjoy! Happy Songkran everyone – enjoy your week off – be safe and take care.